have a great presentations all! The session will start at 4:30 pm with Miguel Roldán’s introduction to Agata Buscemi’s lecture. We look forward to seeing you there tomorrow. We know that most of you are traveling or with your families who came over to visit on Thanksgiving. 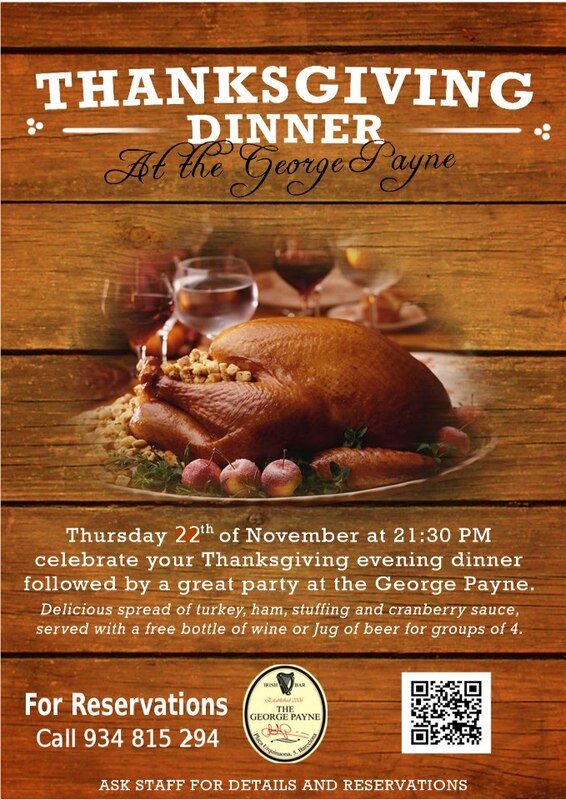 For those who are staying alone tonight in Barcelona, we’re organizing to go all together in George Payne Irish pub where there will be Thanksgiving menu (turkey, ham, potatoes, cranberry sauce etc..) with Karaoke Party tonight at 9:30pm. To be able to reserve a big table for all on time, if interested please contact Zana or Jennifer ASAP..
We wish you a Happy Thanksgiving and to have a beautiful day tomorrow! For those of you attending, the visit to Carlos Ferrater’s office will be this Wednesday, November 21st at 4:00pm. We will meet outside of the office to go in together, so you must be on time! Remember to do some research beforehand so that you are prepared to participate in the visit. Here is a map showing where the office is. You can take the green metro line to Diagonal and walk from there if you like. Dear students, here is another recommendation for tonight so you can choose depending on your interests. Paul Greenhalgh is a well-known expert in the field of Art Nouveau and contemporary art and curator of the “Art Nouveau” exhibition at the Victoria & Albert Museum in 1999, which later toured to New York and Tokyo. The lecture is the event organized to present the “1st Interantional coup Defouet Congress”, which will take place in Barcelona from June 26 to 29, 2013 to mark the 10th anniversary of coupDefouet, the magazine of the European Art Nouveau Route. The entrance is free but with limited places, so go earlier to get your place. 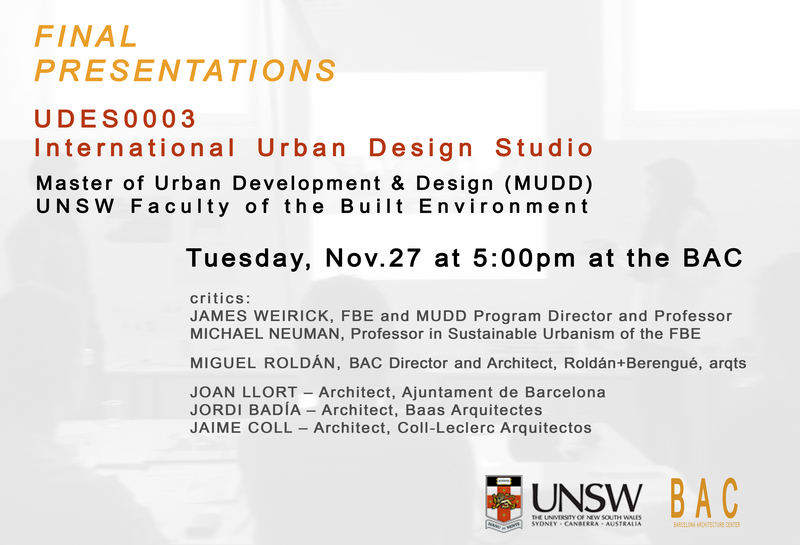 Tomorrow Monday November 19, 2012, 19:30 – 22:00.